28/78 NME is proud to be co-hosting an inaugural new music festival in Spring 2019 with the Conservatory of Music. Featuring workshops, performances and collaborations between students, faculty, and guest artists. Pacific has been at the forefront of contemporary music since its founding in 1878. Celebrate Pacific's legacies in an evening of music. Join musicians from the Conservatory of Music for a diverse concert of works by Pacificans throughout history, including faculty, alumni, and students. Imagine the thrill of percussion— from subtle scrapes to heart-racing rhythms— combined with the infinite possibilities of the electronic realm. Experience an afternoon of music and sounds, curated by Pacific's percussion instructor Michael Downing, a concert of electro-acoustic and other contemporary works for percussion. Performed by Orphic Percussion quartet and the Pacific Percussion Studio. An evening of literally all metal music. Musically and materially. Join the Pacific Heavy Metal Band and friends in a concert of metallic music. Earplugs are recommended for the second half of this concert. Have you ever been on a musical adventure? Join the crew of 28/78 NME on a wild expedition: EDM and jazz combine with off-kilter rhythms, elastic harmonies, and twisting counterpoint. Hiking poles not required. For the festival's final concert, join Pacific's 28/78 for an exciting evening of music. 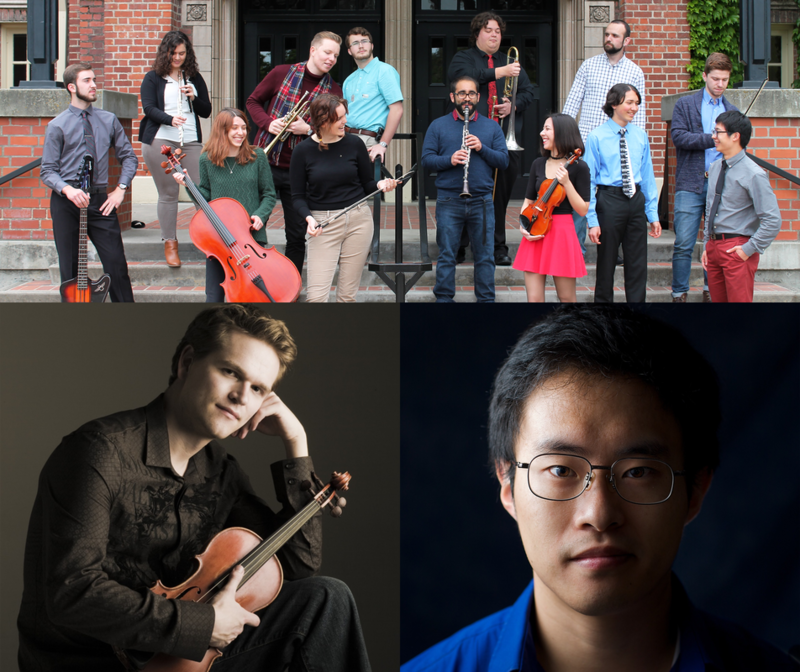 Featuring two-time Grammy Award-winner Mads Tolling, Pacific alumnus and 2018 Guggenheim Fellow Yoshiaki Onishi, and three world premieres. Don't miss this eclectic of mix music. Pre-Concert Q&A with the composers at 6:30pm. Students of the Pacific Strings Studio (taught by Dr. Anne Miller and Igor Veligan) will perform works in a masterclass with festival artist-in-residence Mads Tolling. 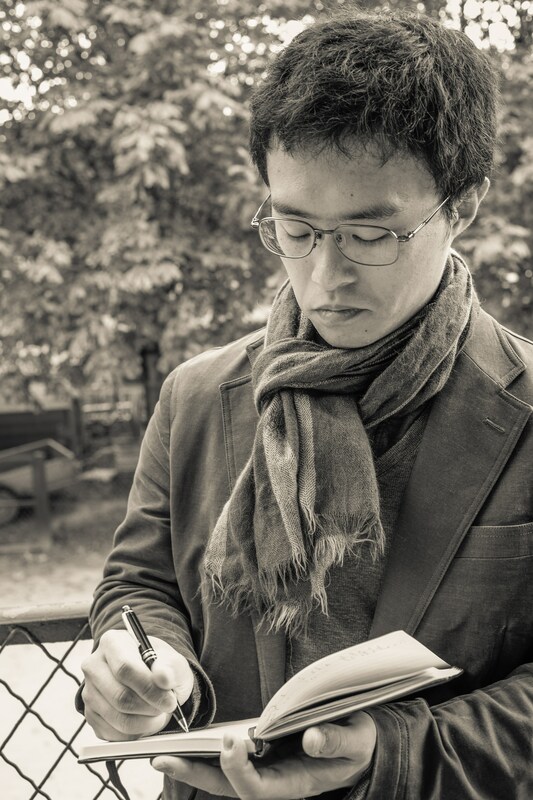 Festival composer-in-residence Yoshiaki Onishi will present two lectures on his musical compositions in Dr. Robert Coburn's 20th/21st Century Music Course. ​Bring your instrument and come explore the world of open instrumentation scores with 28/78. At this session, participants will read a variety of accessible contemporary pieces. At the end of the session, one of the works read will be selected for performance at the Adventures concert with 28/78 the following evening. ​Strings students and teachers of all levels are invited to join Grammy award-winning jazz violinist Mads Tolling in this interactive workshop. Participants will be guided through the basics of improvisation and other non-traditional string techniques. Bring your instrument! The 2019 28/78 New Music Festival is sponsored by University of the Pacific's Conservatory of Music, the Powell Scholars Program, the Pacific Arts and Lectures Committee, and generous donors like you.